A home that’s properly staged can make all the difference when a buyer is considering two options. 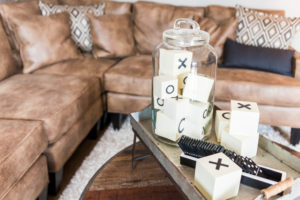 If you want to sell your home for as much as possible and as quickly as possible, then staging should be part of your plan. Keep reading for three staging tips then read up on additional tips for sellers. Reach out to Berkshire Hathaway HomeServices California Properties at 310-373-0021 for help from a leading real estate professional. If you have rooms in your home that are painted in bright, bold, or otherwise unique colors, then it may be worth an investment and a few hours of work to refocus the colors in your home. While you cannot please 100% of buyers, you can appeal to as many buyers as possible. We recommend neutral colors but it is important to understand that neutral does not need to mean boring. You can choose a white, off-white, or even gray color for your walls. Not only will it make a great impression to have colors that can work with any décor, but the fresh coat of paint will help your home look more recently remodeled and updated. Today’s buyers want move in ready homes and freshly painted walls in a neutral tone are a great way to give them that. When you want to sell a home for as much as possible, you want to highlight not just what is there but its potential. A buyer wants to be able to imagine themselves living in the home. They want to be able to envision their belongings in each room. If you have the home crammed with your own belongings, then it will look like your home and be harder for them to imagine as their own. When you reduce the amount of furniture in your home during showings, you are achieving a number of goals. First, the space will help make the home look larger. Second, you will be making it much easier for a potential buyer to tour your home and imagine themselves and their lives in it. The average person thinks of staging and thinks of the interior of the home. The reality is that curb appeal can be just as important if not more important than what is inside the home. Why? Because it is the first thing buyers will see when they pull up to your home. This doesn’t mean that you need to re-side your home or re-landscape it entirely. Just be sure that your yard is trim and cared for. Consider planting a few flowers to make the home look more attractive. If you are looking for additional staging ideas then we recommend you contact Berkshire Hathaway HomeServices California Properties at 310-373-0021. We are here to help you sell your home as quickly as we can for the best price possible.